Welcome to Episode 9, “2018 LA Galaxy Season Schedule.” It’s here! Overdue given when the schedule has previously been released! But, it is here and although it may not be apparent this week from our energy (compared to previous episodes that is, but some of us have been under the weather), we are excited af!!! 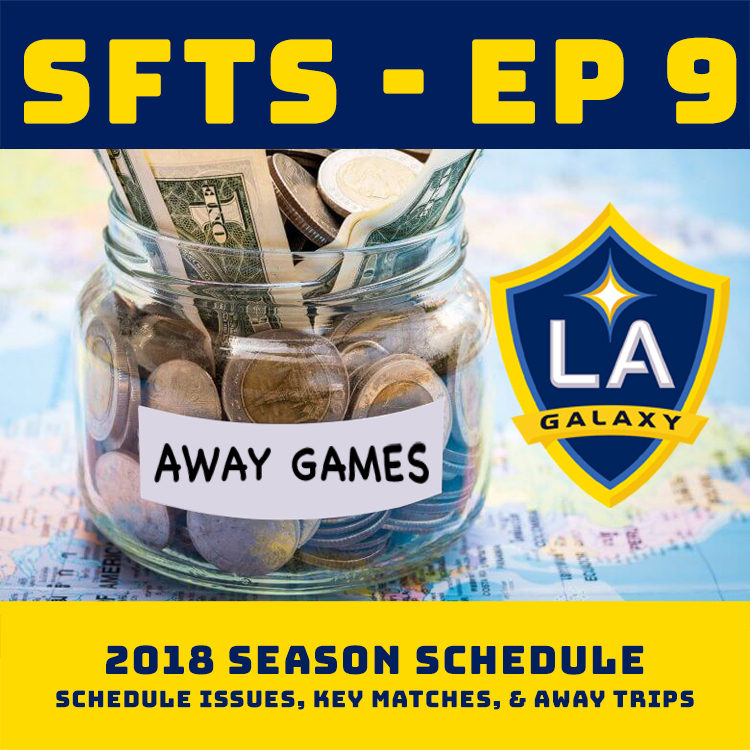 In Episode 9, “2018 LA Galaxy Season Schedule,” the #SFTS team begins with the light – yet important – LA Galaxy news as of Sunday, 1/7/18 including the re-signing of Ashley Cole and Baggio Husidic. Then, dive into the 2018 LA Galaxy season schedule where the boys tackle (what they think is) a very dumb schedule, key games for 2018 including the both rivalry series with (you guys know who), and the several potential appealing away games (away days affff). – 2:25 LA Galaxy rumors and team news sections begins with Ola Kamara (again) and the confirmed re-signings of veterans Ashley Cole and Baggio Husidic. – 6:10 #SFTS address the small rumor of the Ecuadoran defensive midfielder, Jordan Sierra, and what this could potentially mean for Joao Pedro (who he himself thinks he’s a defensive midfielder based on his self-description about his own style of play). – 8:20 Boys touch on potentially releasing Michael Ciani of his contract for the international spot. Does it make sense? – 15:15 The 2018 LA Galaxy Season Schedule overview and well, ya, the dumb schedule for the sake of nationally televised games – not for the local supporters here in LA. – 35:25 The #SFTS crew then moves on to their respective thoughts on 2018’s key games. – 48:30 Finish the show with …. AWAY GAMES!!!!! #LAAway #AwayDays #AwayDaysAF.